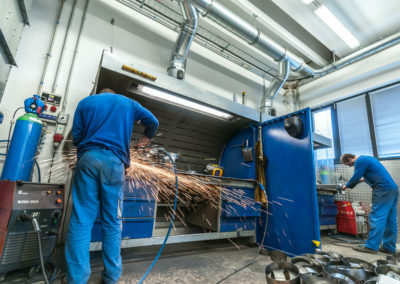 Dust particles released into the workspace by grinding are a health hazard. 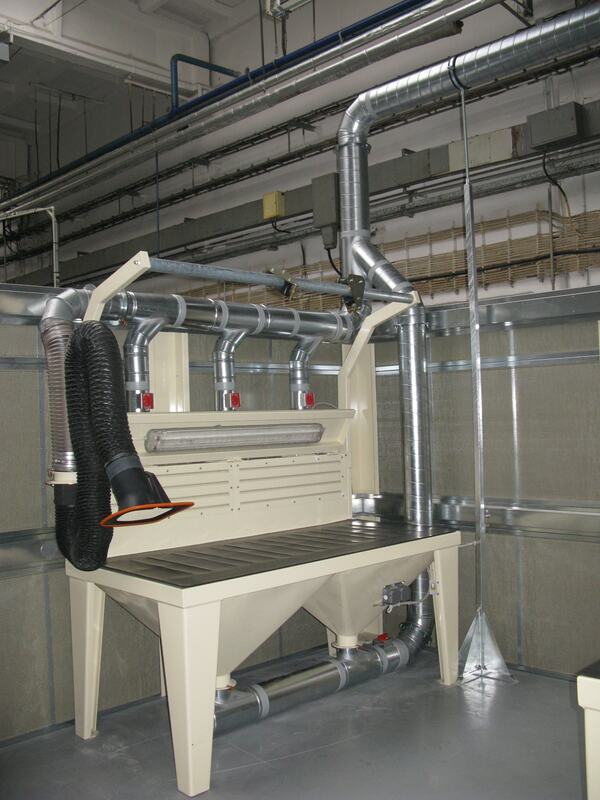 They contain fatty oils, metal particles and abrasive particles. 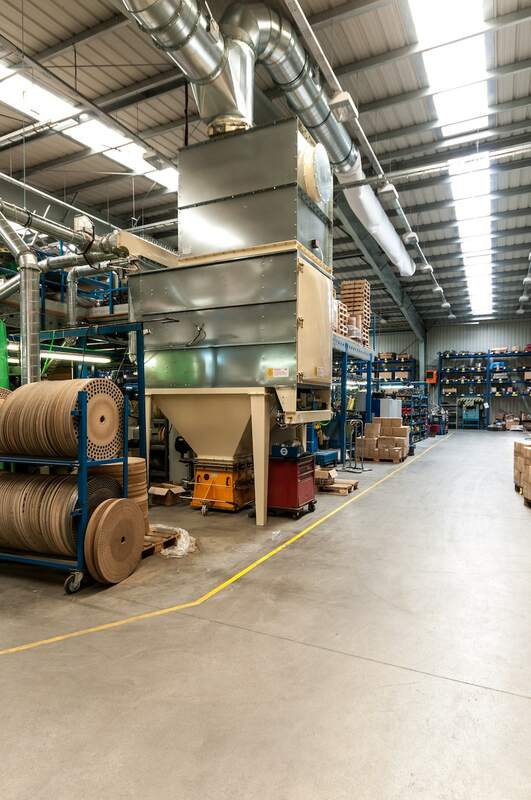 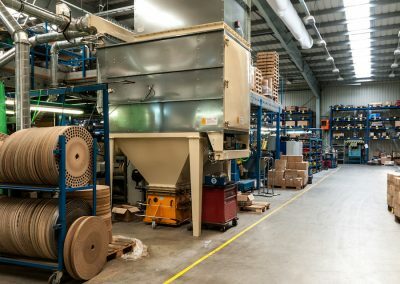 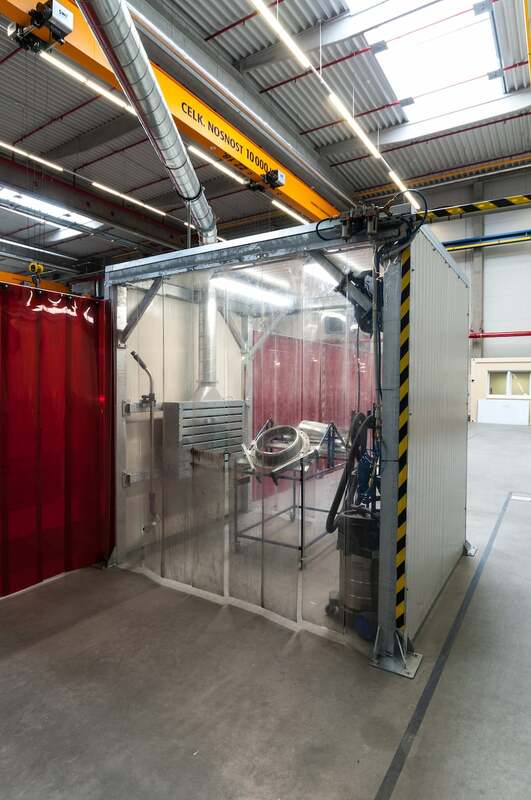 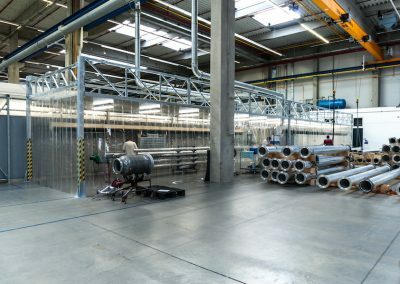 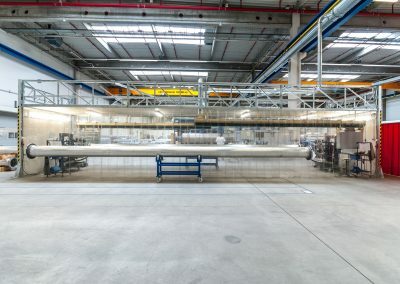 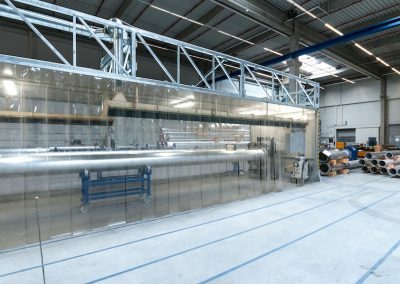 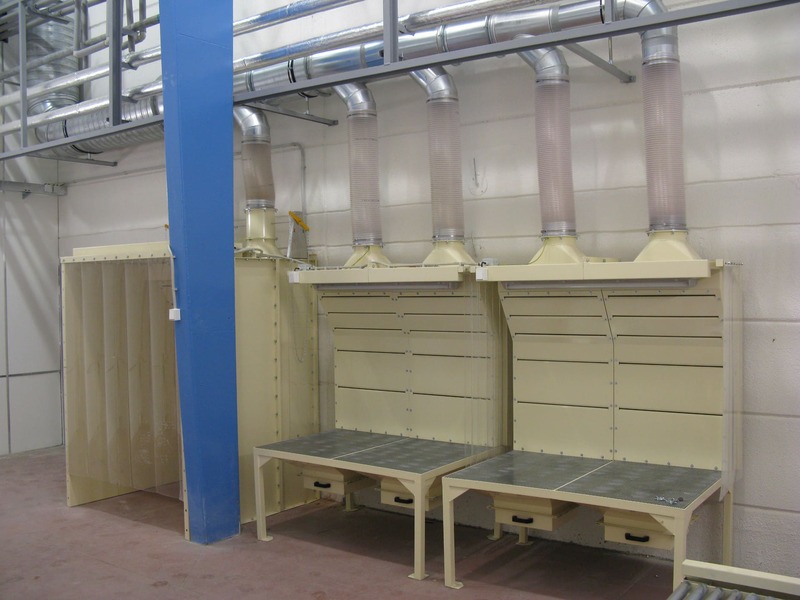 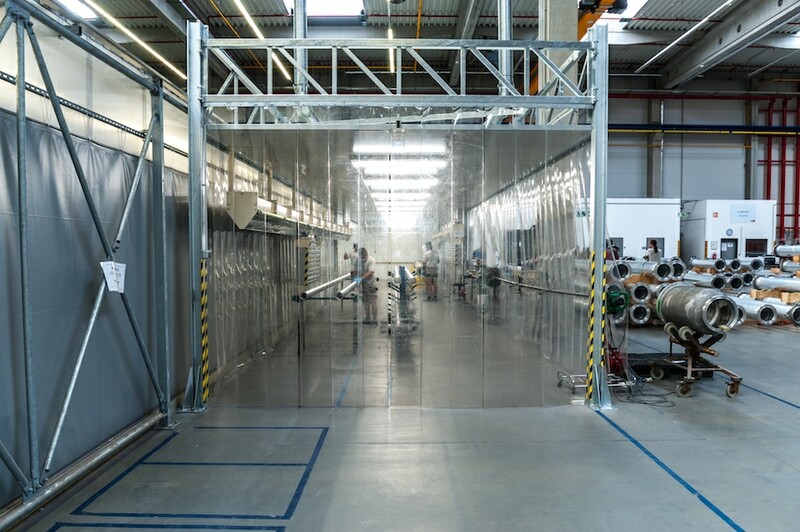 We design and implement air extraction using CARM GH filtration device to catch the dust close to its source, while restricting its spreading into the surrounding workspace. 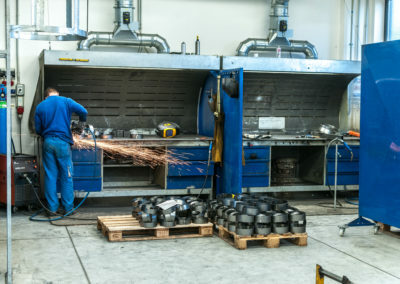 One-wheel grinders, two-wheel grinders, horizontal grinders etc. 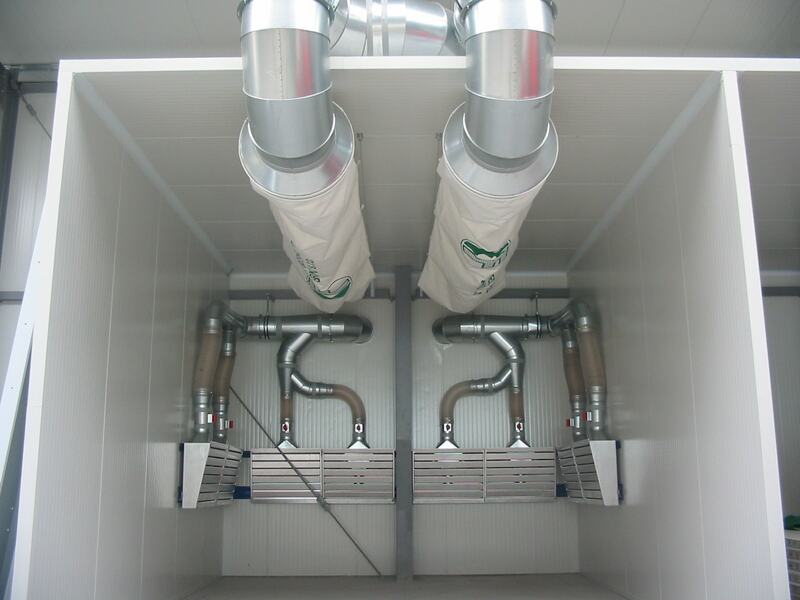 are all equipped with a socket for the central air extraction system. 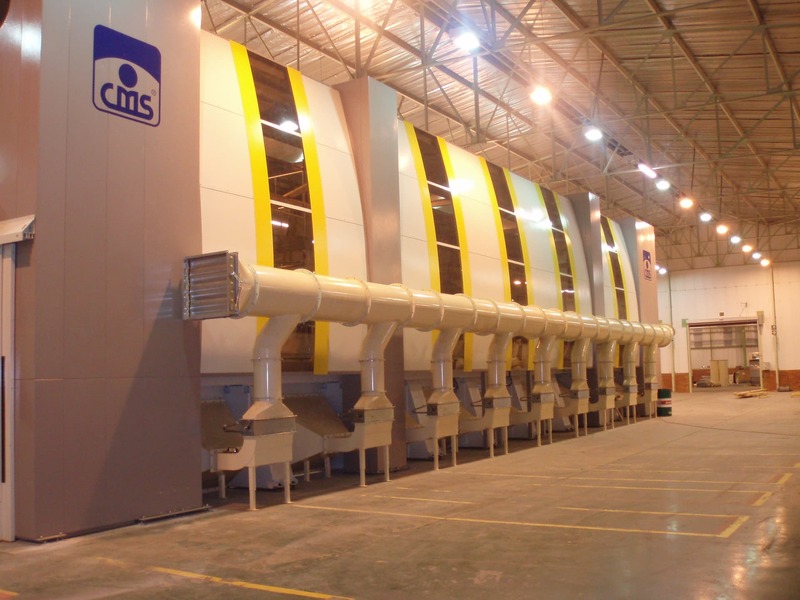 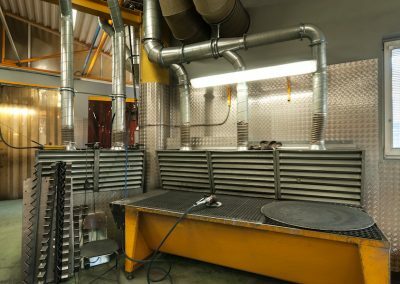 We deliver our central extraction systems with welded, thick-walled materials for enduring the highly abrasive dust. 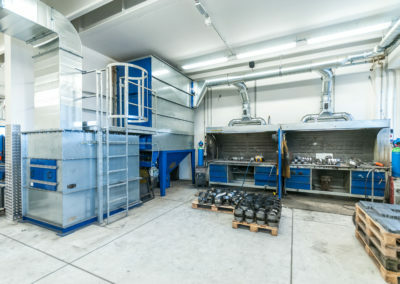 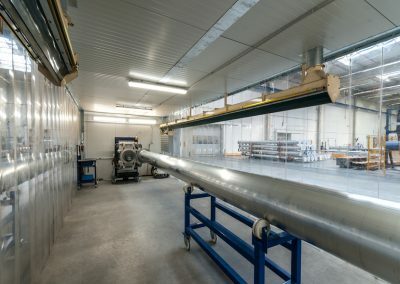 In most cases, we connect each grinder with pipes, which all lead to a central air extraction and filtration system. 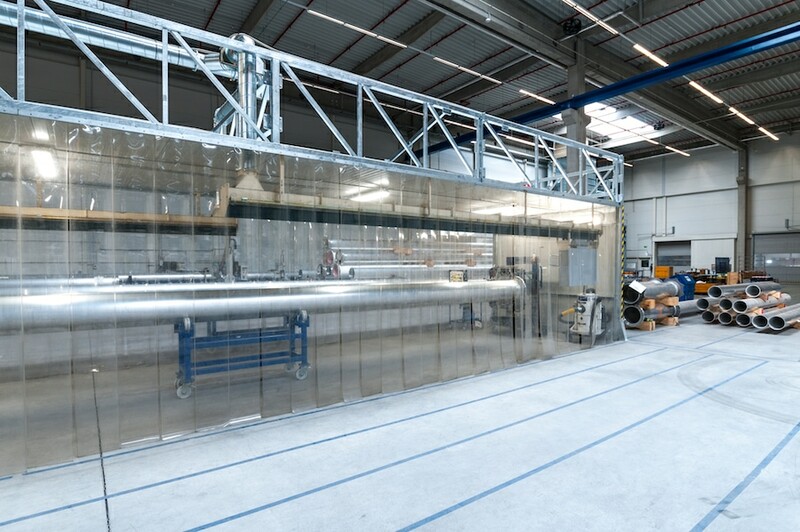 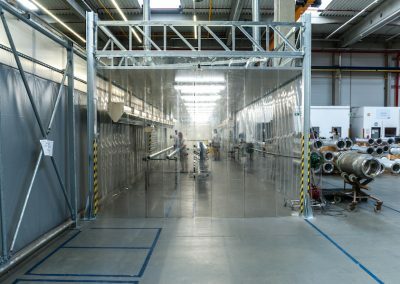 We apply vertical suspended exhaust hoods mounted on walls for spatial grinding shop air extraction. 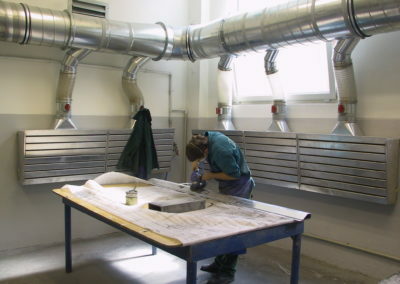 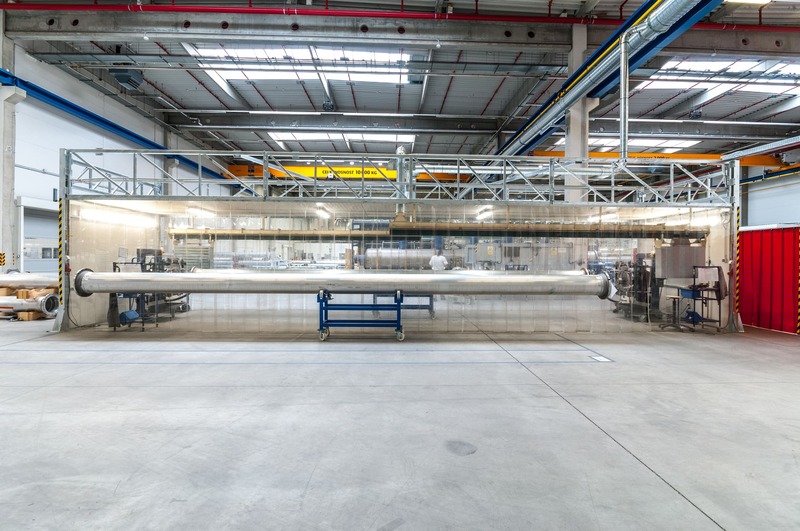 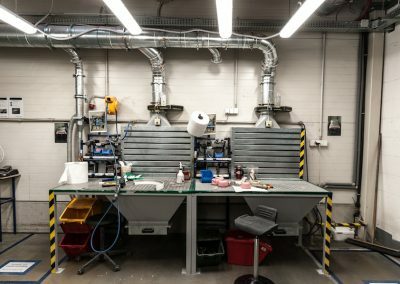 The placement of the exhaust hoods creates separate workspaces inside the grinding area. 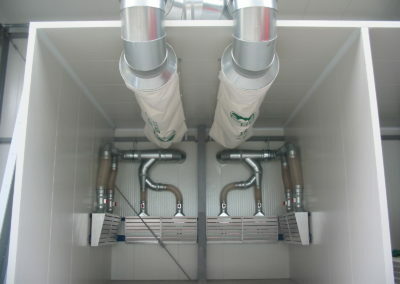 The exhaust hoods are designed to limit dust particles rebounding from the front side of the exhaust hood to a minimum. 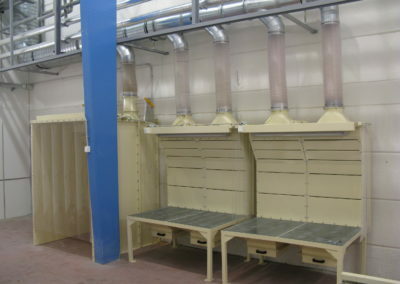 Each exhaust hood is connected with air ducts to the central air extraction and filtration device. 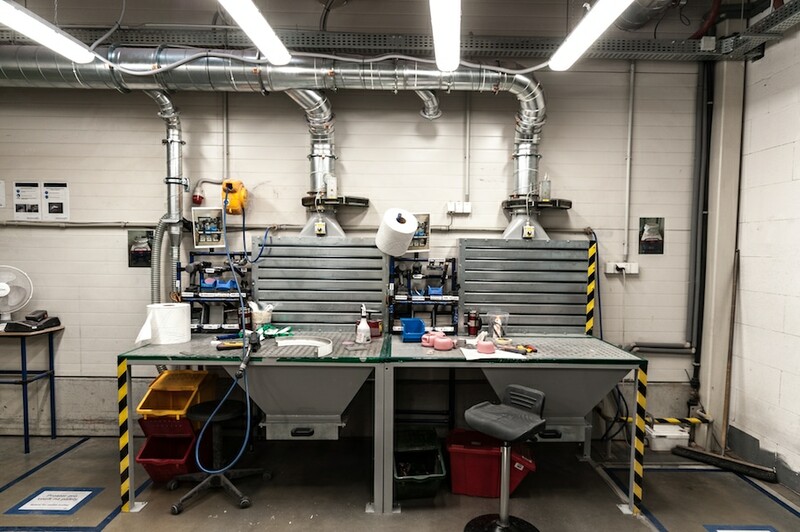 The filtered air is then returned to the grinding shop workspace. 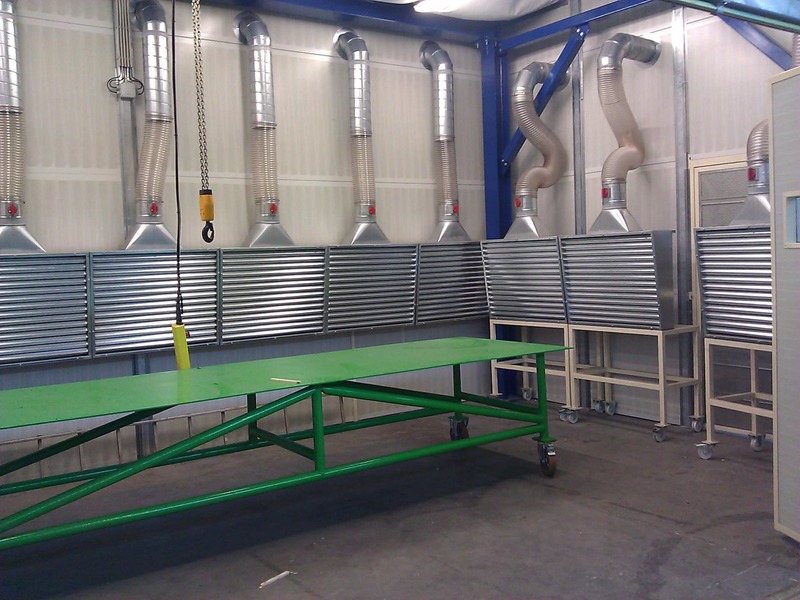 Bottom air extraction is applied in grinding shops, where local workspaces are not possible. 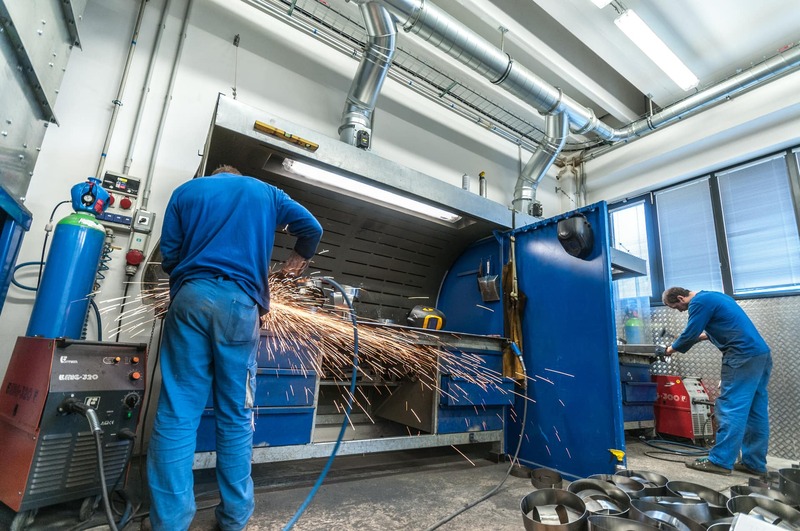 This often includes grinding shops that work with big, heavy or complex-shaped materials. 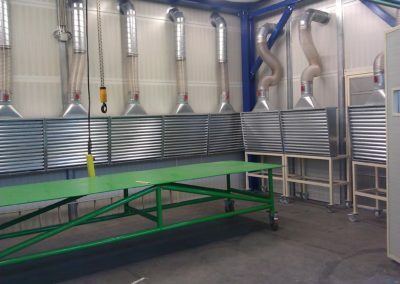 Air is extracted through floor grates. 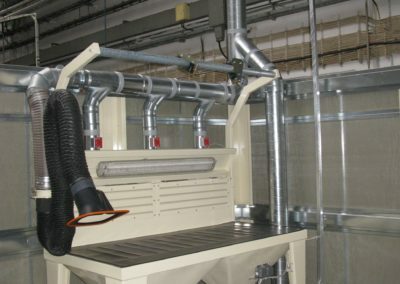 From there, the dust-laden air is conveyed into the central extraction and filtration unit. 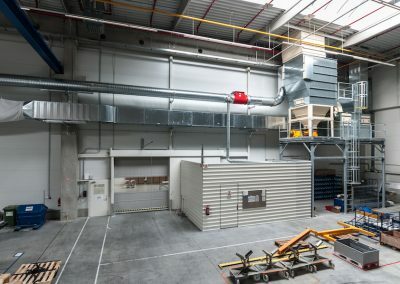 The filtered air is returned into the workspace at the ceiling or at the sides of the workspace. 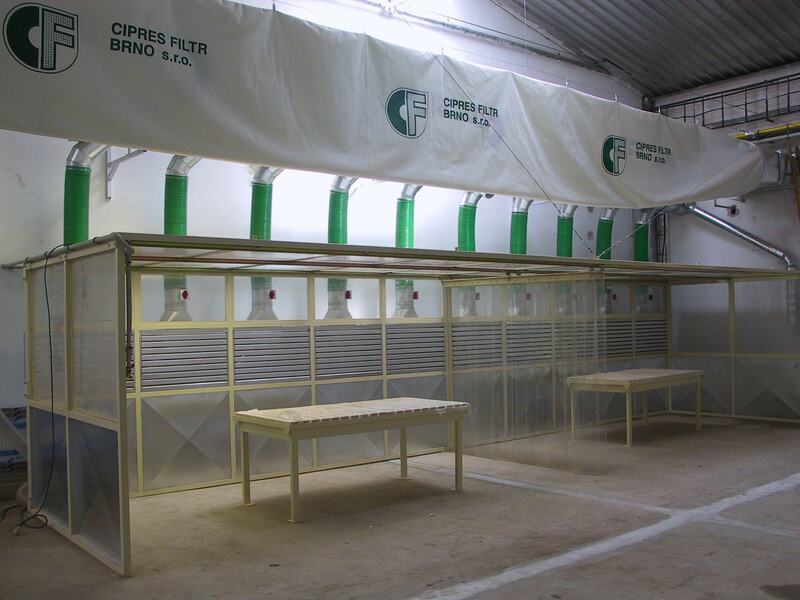 For our applications, we use CARM GH filtration devices with automatic filter medium regeneration using compressed air counterflow. 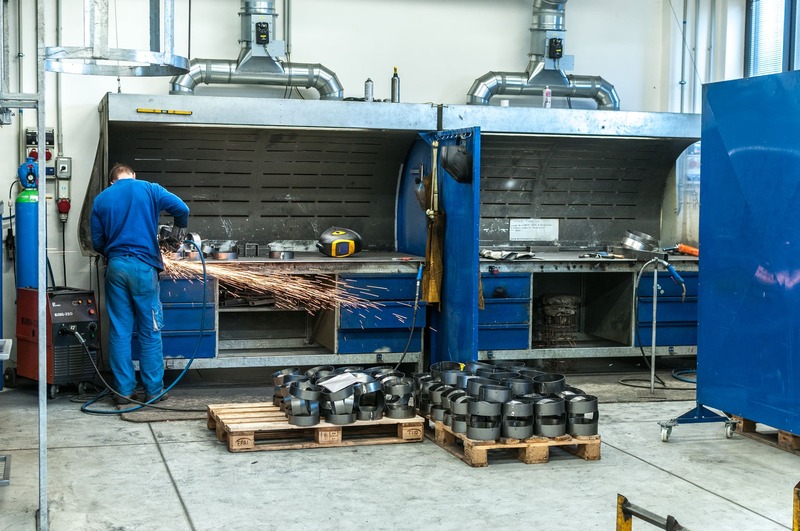 For grinding shops applications, we guarantee residual rift of dust particles under 1 mg/m3. 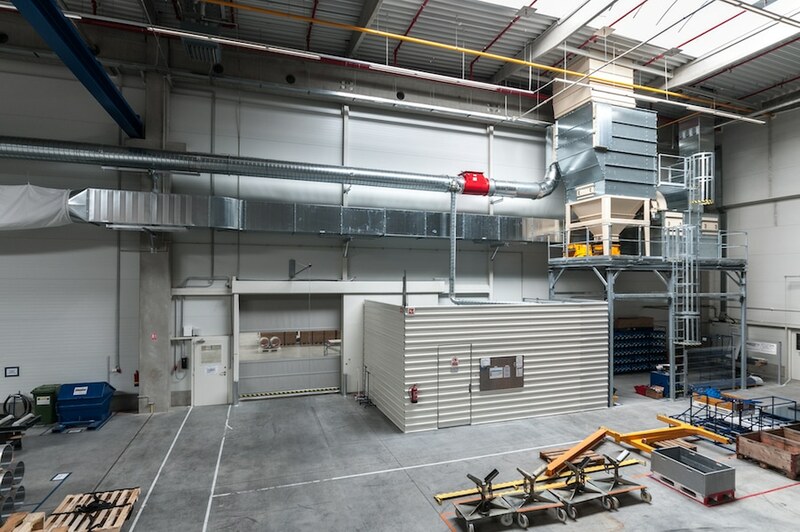 Filtered air can be returned to the workplace, which can save on heating costs. 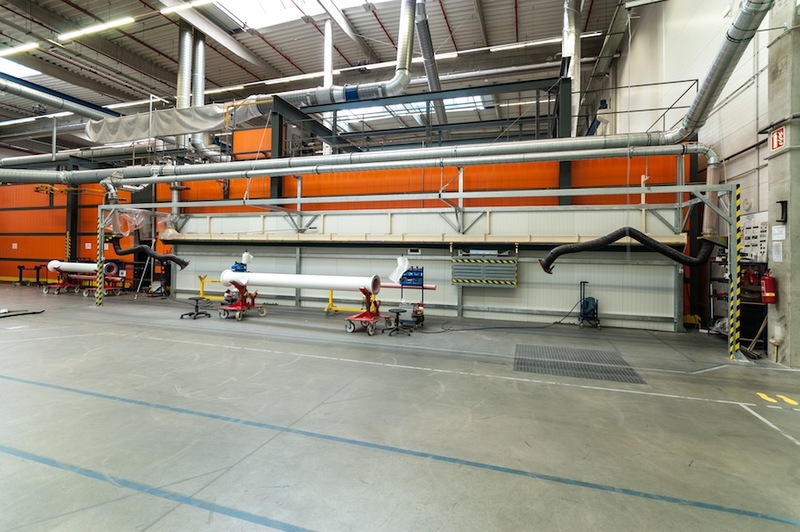 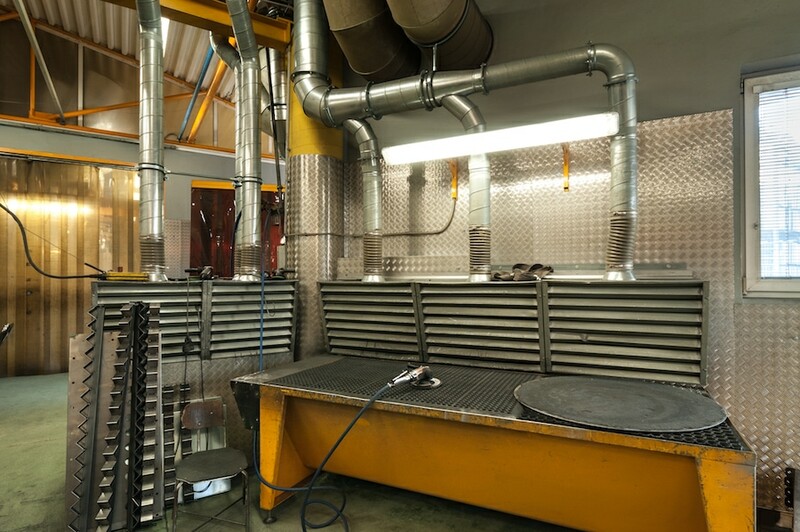 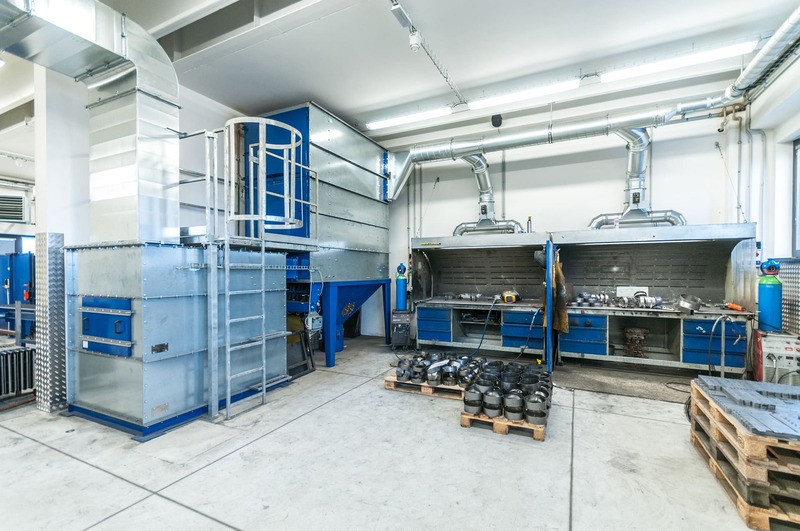 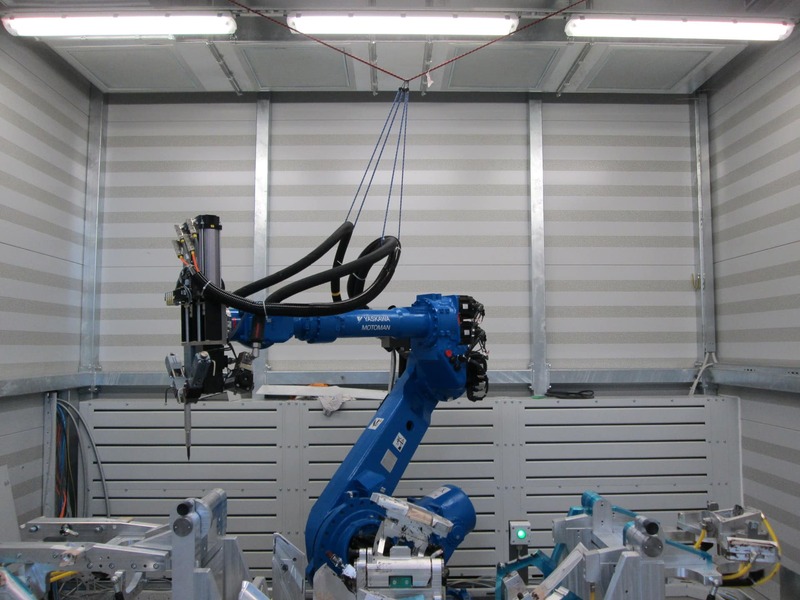 Our air extraction systems with smart exhaust power controls are increasingly in high demand. 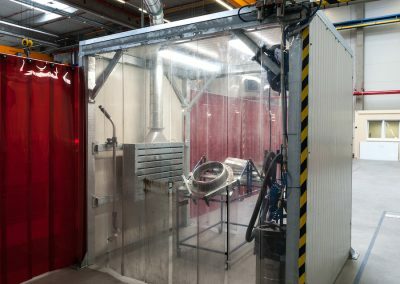 Filtration device with frequency converter, automatic flaps, regulator and sensors controls the exhaust power in individual workplaces. 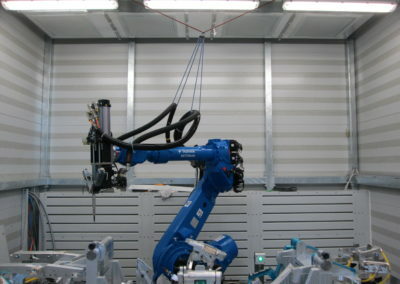 The sensors control both electric and pneumatic grinders. 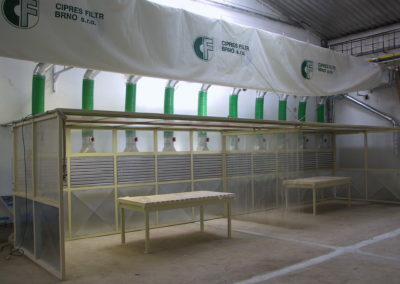 The filtration system starts and shuts down automatically. 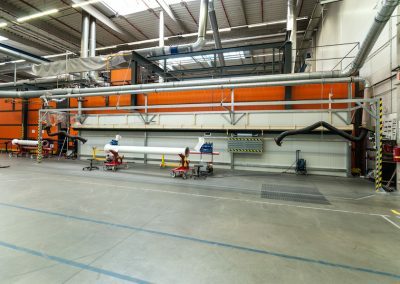 Using smart controls helps to cut down electricity costs for our clients. 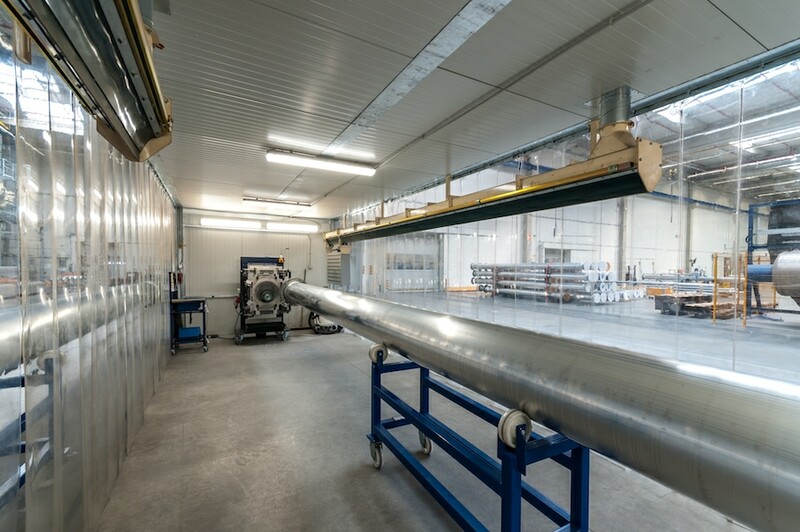 We design and deliver our solutions for our clients with minimum filtration device maintenance cost in mind. 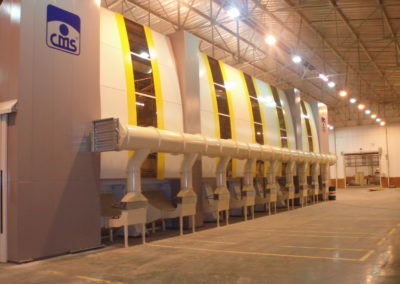 Our devices are equipped with smooth filtration sleeves made of microporous filtration fabric. 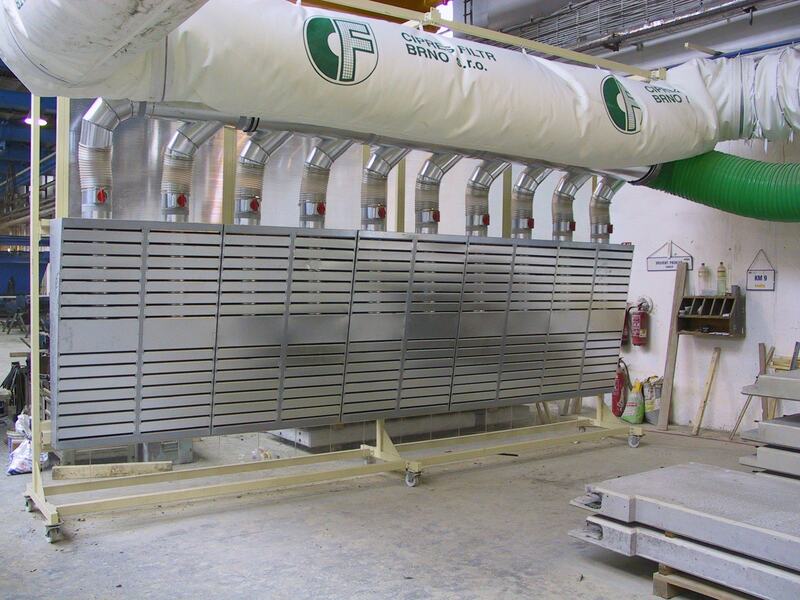 Filtration sleeves won’t create deposits, don’t tear and have high mechanical resistance. 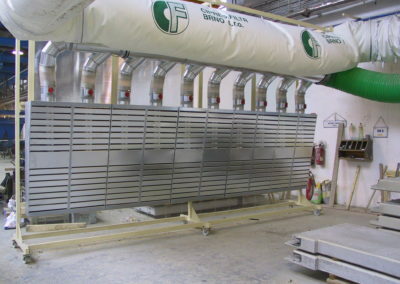 For grinding shops applications, we guarantee filter medium service life of at least 20 000 hours.